Sustainable Living Expo this Saturday, Feb. 9 at the Revelstoke Community Centre. 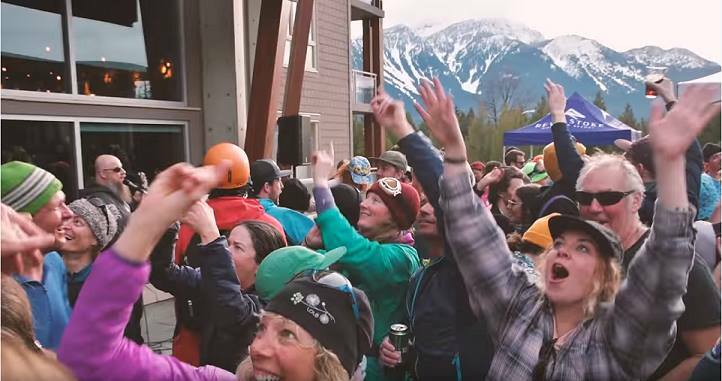 This article first appeared in print in the January 2019 issue of Revelstoke Mountaineer Magazine. Living a more sustainable lifestyle is a goal many people strive for in their daily routines, but putting those goals into practice can be difficult. If being a greener citizen is on your to-do list, the Sustainable Living Expo will help you reach your goals of being an informed and conscious consumer. My personal goals for sustainability seem to fluctuate with the seasons. I am inspired to take action and choose products and services that not only benefit myself and my family, but also the environment and my community as a whole. 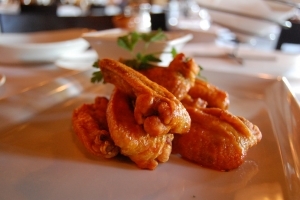 But of course, there are challenges and limitations. Affordability, for one, is a major concern. Effectiveness, another. And then of course, accessibility, because living in a small town can really limit your options. If only there was a way I can get all the information I need in one convenient location. 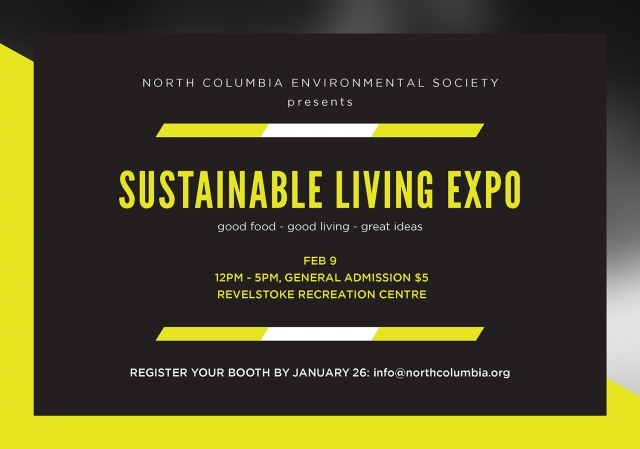 The North Columbia Environmental Society (NCES) will be hosting Revelstoke’s first Sustainable Living Expo on Saturday, February 9 at the Revelstoke Recreation Centre from noon to 5 p.m. There will be a variety of vendors, speakers, and presenters taking part in the event. 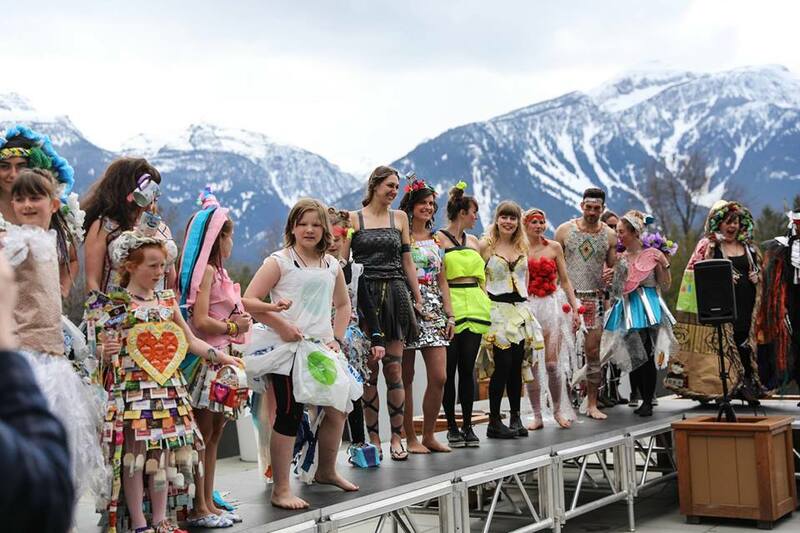 By hosting a one stop shop for Revelstoke’s residents to come and explore green businesses, eco programming, sustainable lifestyle options, and products that promote a more earth-friendly approach, residents can be empowered to make better decisions on where and how they spend their money. Ethical consumerism encourages individuals to make conscious decisions on how they heat or cool their homes, how they travel around their hometown, how they spend their free time, and how they feed themselves (just to name a few). At the expo, you can look forward to learning about holistic coaching, soap dispensaries, reusable household products that are built to withstand the test of time, tiny homes, energy saving tips, recycling information from the regional district, green buildings, alternative energy, and so much more. There are still opportunities to get involved as a vendor, so if you think your business, product, or lifestyle can be a learning experience for others or a benefit to someone else’s sustainable living journey, you are encouraged to get in touch. An individual’s journey into sustainability is very much a personal experience, whether you dedicate your entire life to it or just want to dip in a toe to test the waters, the Sustainable Living Expo will help you along the way.